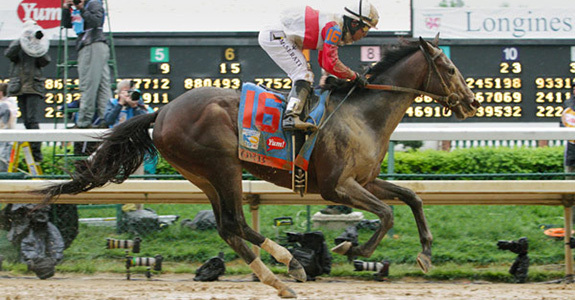 You simply cannot visit Louisville without visiting Churchill Downs, home to the most famous horse race in the country—the Kentucky Derby and Kentucky Derby Museum. I don't know why, but this is just one of those storied places where I had to pinch myself to make sure I was really here. 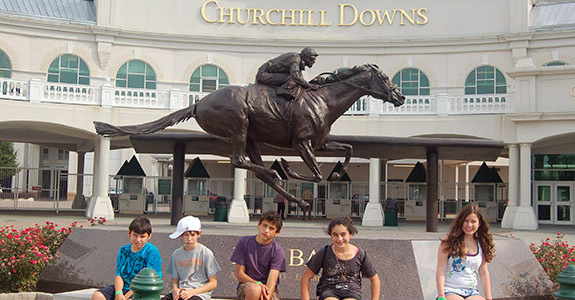 Out front the kids posed with a gorgeous sculpture of Barbaro the 2006 Kentucky Derby winner who later shattered his leg 2 weeks later at the Preakness Stakes. Inside the museum the kids and I watched a brief movie called "The Greatest Race" on a 360-degree screen that surrounded us. It was a truly unique experience and we all wondered how they shot the film. Afterwards, the doors opened and we headed out through the starting gates into the rest of the exhibit hall with a large screen of charging horses coming right at us in slow motion. It was magnificent to watch, the finely tuned muscles of those thoroughbreds moving with the small jockey's with their colorful shirts crouched above.. Walking through, I wondered what it must be like for those jockeys, the anticipation waiting for those gates to swing open and then as soon as the bell rings they take off like a rocket pounding around the track. 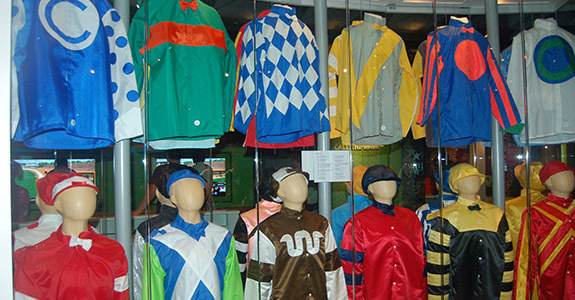 Walking around we saw exhibits about those crazy hats that the women wear to the derby and those fabulously colorful shirts that the jockeys wear. I know I'll never be a jockey, but I hope one day can come watch the Kentucky derby in an outrageous hat-I am putting that on the bucket list for sure! We also saw some of the famous trophies including the triple crown trophy and the flower garlands that the winning horse wears. We loved the interactive stuff here that was so much fun to try. There's a soundproof booth where you can call a race into the microphone. I think by far the kids favorite part of the museum was the horse racing "simulator" where you have to maintain the jockey's stance for 2 minutes, the time it takes to get around the track while you "race" against everyone else. I could not get the boys off of them and of course since there weren't enough "horses" for everyone at the same time it devolved into a bit of squabbling. I left Yvonne with the boys on the "horses" and took the girls to the second floor where we learned about how horses are bred, all about what it takes to be a jockey, and to actually feel what it's like atop a horse in the starting gate. Then the girls got to ride the simulator and the boys went upstairs. I love horseback riding, and I can only imagine the thrill these jockeys must experience riding such a fast animal and sharing such a deep connection during the race. Horse racing has been around for a long time and it spite of how far we've progressed it's nice to know that some things from the past still hold the same thrill they always have. I can't imagine a better place to learn about horse racing that right here, at the home of the greatest horse race in the world. This is a DO NOT MISS!